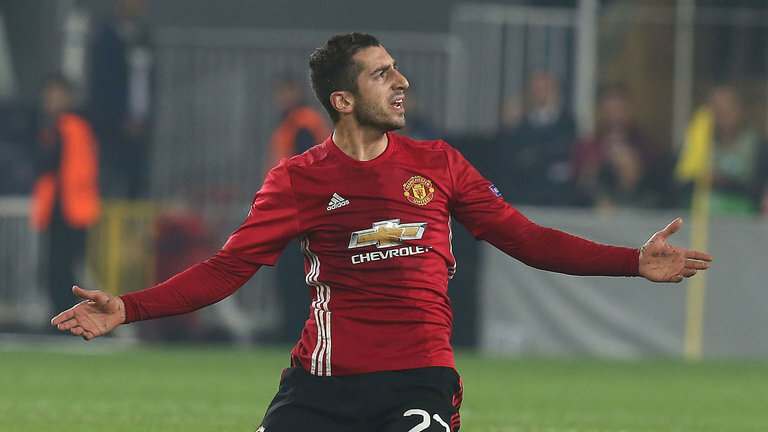 Manchester United midfielder Henrikh Mkhitaryan has vowed to fight for his dream of playing for the Red Devils on a regular basis. The Armenian has struggled to lay claim to a first team spot under José Mourinho, despite only just joining United in the summer. Many fans of the club have grown frustrated at the amount of game time Mkhitaryan has been given, considering he was one of the brightest stars in world football last season. Despite his lack of playing time, the 27-year-old is determined to fight for his place under Mourinho. “It is true that I get little time on the field, but I am not going to give in,” he said. Mkhitaryan will most likely feature in Armenia’s game against Montenegro on November 11th, giving him chance to show exactly what Mourinho is missing by not including him in Manchester.